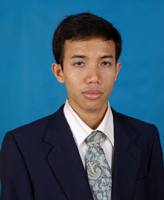 Mr. Vicheka LAY has approximately five-year experience in legal profession. He has advised multinational and local corporations in doing business/investing in Cambodia. He is actively practising all kinds of corporate, commercial and investment matters, joint venture, intellectual property, capital market, and employment. He was also an e-commerce law consultant to the Cambodian Ministry of Commerce (the World Bank Project). Vicheka has two Master’s Degrees; one is a Master in Public International Law earned in Cambodia and another one is a Master in Comparative Law earned from McGill University in Canada. An active author, Vicheka has written widely on commercial arbitration, anti-corruption, and anti-money laundering regulations for international publishers. Vicheka is also serving as a national correspondent of Cambodia for the Seoul-based Journal of East Asia and International Law as well as serving as a member of the international advisory board of the International Encyclopedia of Law, editor of Canadian Journal of Poverty Law and sitting as a corresponding editor of the International Legal Materials of the American Society of International Law. The globalization has brought a new face for Cambodia. From being referred to as a stigmatized nation-state in Asia, Cambodia is now a full member of the regional integration and globalization, where we can compete to the full length for internal economic interests. In addition to the existing membership to the United Nations, the World Bank, the International Monetary Fund, our most recent memberships to the Association of Southeast Asian Nations (1998), the World Trade Organization (2004) has brought brand-new opportunities for Cambodian people and the world. This opportunities cover on all industries; tourism, manufacturing, agriculture, services, banking and technology. And we recently become one of the fastest growing economies in Southeast Asia. We understand that in order to enjoy this opportunity, Cambodians and those having economic and non-economic interests in Cambodia must be kept abreast about the latest trends of our regionalization as well as globalization. So we created this blog to garner all international and regional legal instruments that Cambodia signed, adopted or acceded to, so that you can make the most informed decision. The 19th ASEAN Regional Forum ("ARF") was kicked off on July 12, 2012 at the Peace Palace in Phnom Penh, the Capital of the Kingdom of Cambodia. The ARF was chaired by H.E. Hor Namhong, Deputy Prime Minister, Minister of Foreign Affairs and International Cooperation of the Kingdom of Cambodia. The venue of this year's forum was due to the fact that Cambodia is the Chair of the Association of Southeast Asian Nations ("ASEAN"). Twenty-seven foreign ministers from East Asian region, including ten ASEAN member States, ASEAN dialogue partners and the secretary-general of ASEAN also attended the forum. The background of the ARF dated back to 1994, when ASEAN Head of States thought of the significance of this forum for the dialogue on security, bilateral alliances and dialogue within the Asian region, and other key regional development issues. The forum would provide the floors for ASEAN member States, dialogue partners to discuss pressing and existing regional security initiatives, cooperation mechanism toward peace and stability in the region. The idea behind the establishment of the ARF is to enable participates to delve into the less formal discussion on political and security issues, as well as action-oriented cooperation initiatives within the region. The forum highlighted the need to pursue the implementation of the Hanoi Plan of Action, the security and stability in the Korean Peninsula and the South China Sea, the ARF's Vision Statement 2020, a number of other wok plans in support of the purposes of the forum, the 20th ASEAN Summit and its achievements in the adoption of the Declaration on Drug-Free ASEAN, the Phnom Penh Agenda on the ASEAN Community Building, the Phnom Penh Declaration on ASEAN: One Community, One Destiny, and the Concept Paper on Global Movement of Moderates. Ministers also acknowledged the significance of the Treaty of Amity and Cooperation in Southeast Asia ("TAC") and the accession of the United Kingdom and the European Union into TAC. Ministers noted that TAC is a code of conduct for growing inter-state relations, and welcomed the entry into force of the Third Protocol Amending the TAC. The forum also adopted the ARF Work Plan on Non-Proliferation and Disarmament. On the non-regional issues, ministers also expressed concern on the violation in Syria, terrorism in Afghanistan, and the conflicts in the Middle East, which may bring instability to the region. The ministers endorsed the international cooperative endeavor in non-proliferation, disarmament and peaceful use of nuclear energy, the global effort and initiatives on non-proliferation and disarmament in compliance with the current international legal framework. The territorial dispute over the South China Sea dominated the agenda, however. The parties related to the South China Sea include the Philippines, Vietnam, Brunei, Malaysia and Taiwan, who all claim parts of the sea and all want to unite to motivate China to sign the Code of Conduct on South China Sea. However, China claimed its intention to enter into bilateral negotiation with each claimant. During the events, ministers reiterated the importance and significance of the ARF and ASEAN's role as a driving form in the Forum in security architecture issues. Brunei Darussalam will be the next Chair and Myanmar will be the next Vice-Chair of the subsequent ARF, which is set to begin in January 1, 2013.